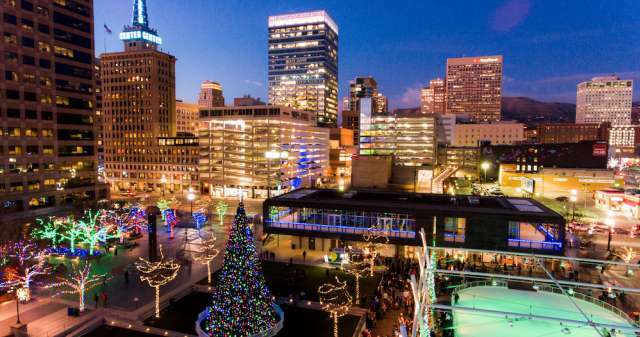 ‘Tis the season, and while the temps are dropping, the lights, events, and holiday cheer is bubbling up in Salt Lake. Whether you’re looking for family fun or more elevated evening diversions, Salt Lake has something in store. As the urban gateway to Utah, and the Greatest Snow on Earth, Salt Lake offers a true city experience at the footsteps of some of the world’s greatest scenery and outdoor offerings. Complete with a bustling downtown, and a host of burgeoning neighborhoods, Salt Lake serves up something for everyone on your list. 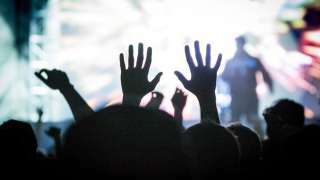 Take a look at this list events, and try not to get overwhelmed at the options. 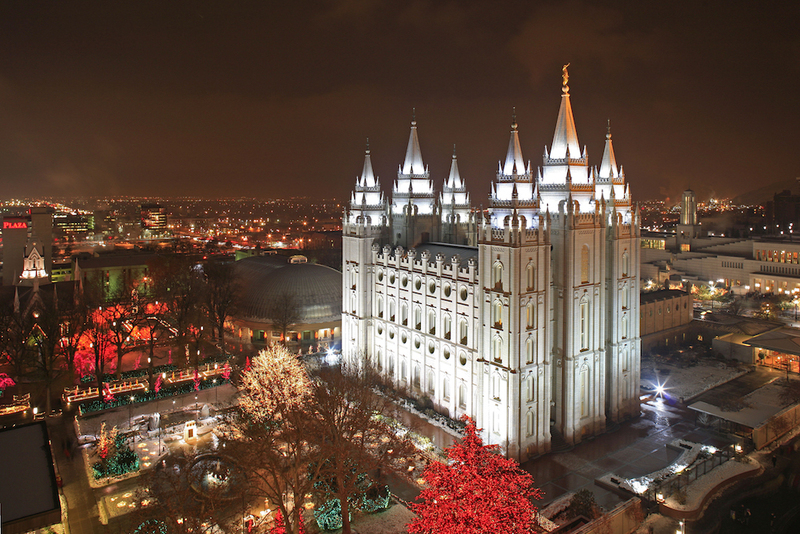 From shopping to dining, to off-Broadway performances to some of the best Christmas lights in the nation at Temple Square, you’ll be surprised at everything happening in Salt Lake. Utah’s biggest, brightest holiday light show is slated to open its gates on Nov. 24, 2017 at The Provo Towne Centre Mall and Salt Lake County Equestrian Park in South Jordan. Christmas in Color will light up these two venues with a mile-long, drive-through light show that sharply synchronizes the choreography of 1.5 million LED lights with upbeat holiday music. This season’s festive lights at Temple Square are turned on for the first night on Friday, November 24, 2017, the day after Thanksgiving. Come to Temple Square to see the Christmas lights every night at dusk for the entire holiday season, until January 2, 2018. No holiday season is complete without the festive cheer of The Nutcracker, and this year’s characters will pirouette, leap, and soar like you’ve never imagined. Join Ballet West for the grand unveiling of fantastical new sets, costumes, and special effects, framing Willam Christensen’s historic and renowned choreography and Tchaikovsky’s famous score. December 2nd- 30th. 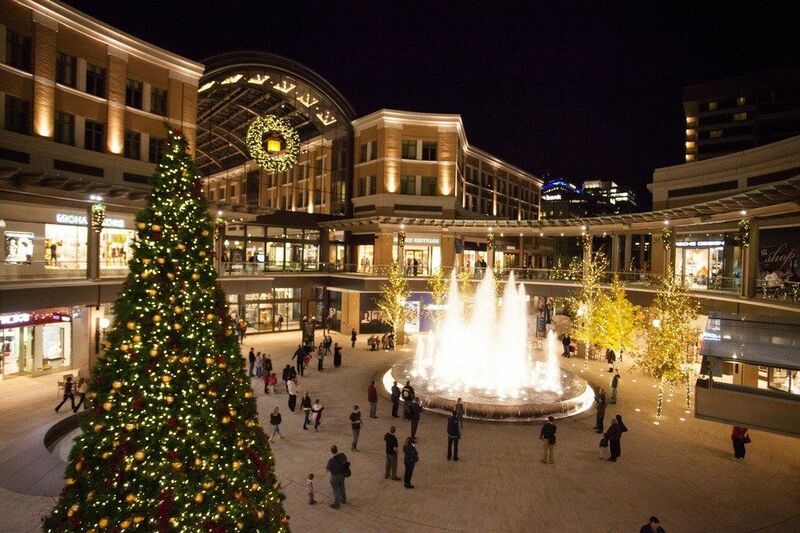 Dont&apos; miss the holiday attractions at City Creek Center. You will find Santa in his lantern cottage near the Food Court. Enjoy the virtual line so you can shop and dine instead of waiting in line! Also, don’t miss the choreographed America First Fountain Show at the top of every hour and feature shows with three holiday songs at 7 PM and 9 PM near Nordstrom. Replacing Eve, as Salt Lake’s premier New Year’s event, The Last Hurrah at The Gateway will celebrate the new year with everything from Main Stage music acts, a Speakeasy Lounge, and full, interactive Gameroom. With plenty of options for everyone in your family or group, The Last Hurrah isn’t to be missed. Nationally Acclaimed. Hale Center Theater’s 34th annual production. Once again, Christmas Present and his ghostly friends remind the curmudgeon Scrooge that true wealth is in friendship and family, that true joy is in giving, and that true business is in doing good. Adapted by Wilkins and Bradford. Relive Charles Dickens&apos; masterpiece. ZooLights! will be brighter and more sparkling than ever as this festive, family-fun light event returns for its 11th anniversary year. Over 200 lighted animal and holiday-themed displays will glisten in the December night as you make your way throughout Zoo grounds. Enjoy dinner in the Beastro, warm up with a cup of hot chocolate or check out our vast array of tasty treats! The event showcases 14 unique, whimsical displays located The Grand America’s retail windows. Each hand-crafted window display truly captures the imagination and the joy of the holiday season for all to enjoy. Attendees will receive a map to guide their explorations, as well as a seasonal cookie at the end of the stroll. All aboard the Downtown Jingle Bus! 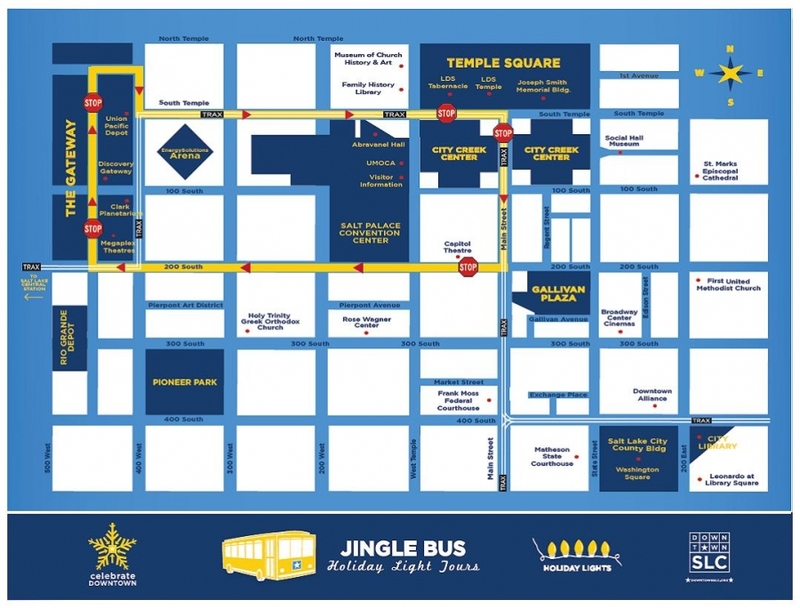 Beginning Friday, November 24th through December 30th, downtown holiday season visitors can hop-on and off the holiday themed ride circulating between The Gateway, Temple Square, City Creek Center Gallivan Plaza & Capitol Theatre.